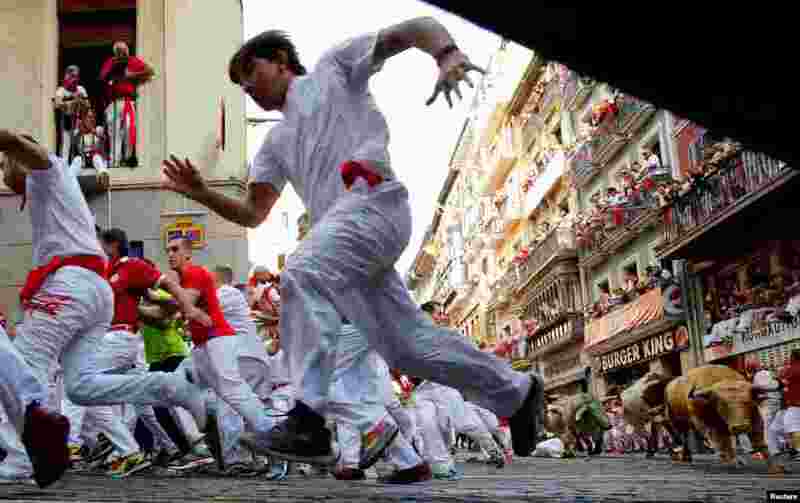 1 Runners sprint ahead of bulls during the first running of the bulls at the San Fermin festival in Pamplona, northern Spain. 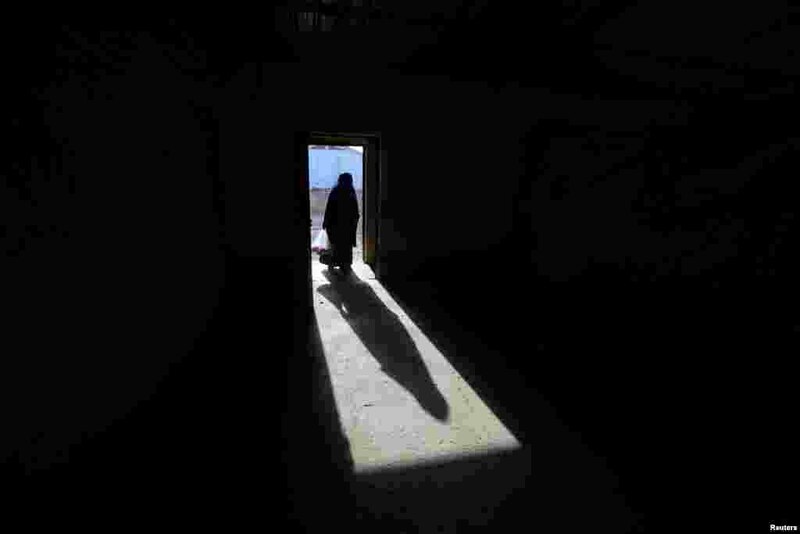 2 The shadow of a displaced old woman is seen in Hassan Sham camp, east of Mosul, Iraq. 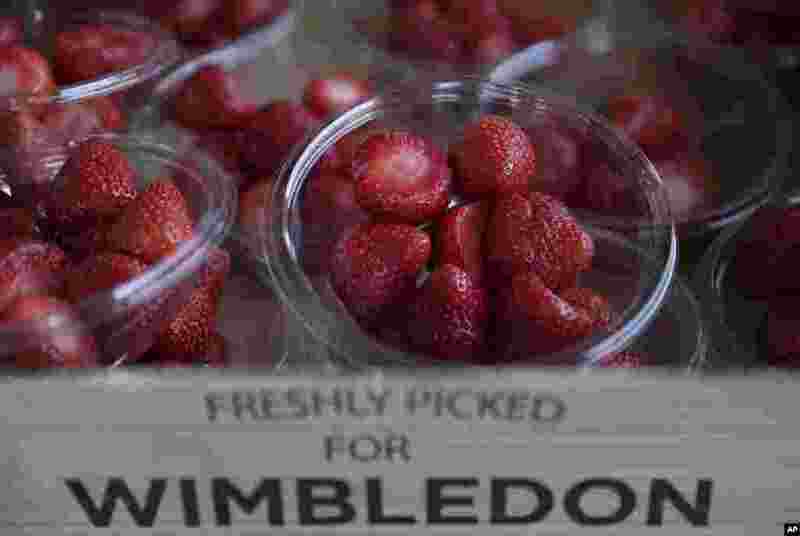 3 Strawberries for sale on display, on day five at the Wimbledon Tennis Championships in London. Green grass, tennis whites and big red strawberries. It can only be Wimbledon - even though nobody really seems to know how the seasonal fruit became ubiquitous at the All England Club. 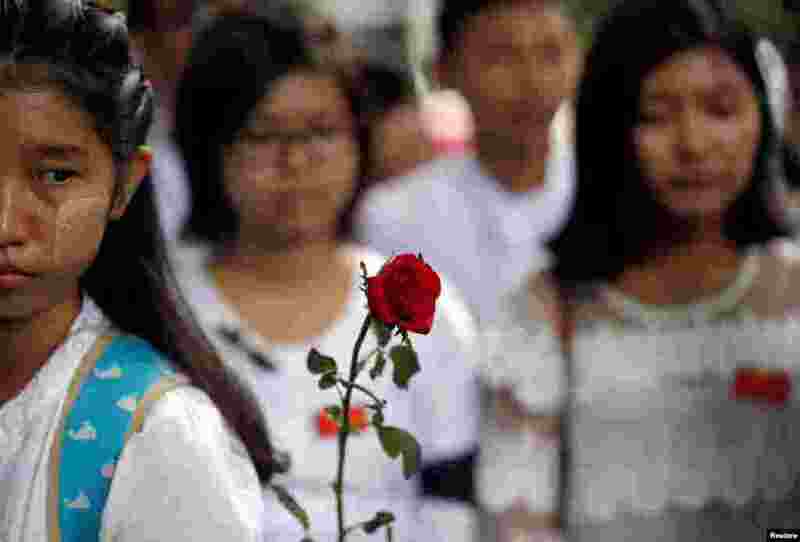 4 Students attend a protest, to mark the 55rd anniversary of the military's suppression of student protests in 1962, at Yangon University, Yangon, Myanmar.